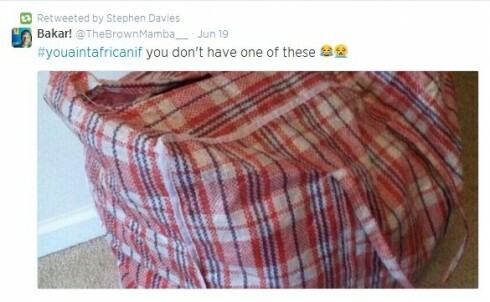 #YouAintAfricanIf is trending on Twitter at the moment, and the chequered travel bag earned several retweets. Ours is sitting across the room from me as I write this. It’s full of clothes and ready to go. On Wednesday, God willing, my family and I go to Ouagadougou airport and fly back to England. I’ve been back to England several times over the course of the last thirteen years, but this time it’s different. This time I am not planning on coming back. Or rather, if I do come back, it will only be for a short visit. I will take with me many memories, the good and the bad and the just plain strange. During the course of thirteen years in Burkina Faso, I learned Fulfulde, followed a cattle drive, grew rice, rode a horse to a distant naming ceremony, travelled around Niger and Mali, wrote some books, recorded radio dramas and music videos, lost my faith, found it again, got malaria and typhoid (at the same time), herded goats, drilled for water in a dust storm, got married, acquired two daughters and made a few good friends. It feels like the right time to be leaving Burkina. We’ve had a good innings, but with the passing of years we have felt the increasing tug of home. And yes, England still feels like home. Ko leggal ɓooyi e ndiyam fu, laatataako nowra. Even if a log lies in the water a long time, it will never become a crocodile. We plan to be living in London, and I am going full time as a children’s author. I can’t tell you how excited I am about being able to spend more time writing. It feels like an absurd luxury and I can’t wait to get started. 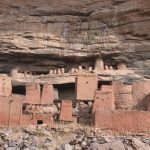 Nomadic people groups have many phrases to ease the parting of ways, but none of them have much finality. Leaving my Fulani friends will be hampered (or perhaps eased) by the fact that there exists no word in Fulfulde for goodbye. We will make do with phrases like Alla moƴƴin laawol (May God make good your road) and Alla wan njiiden e jam (May God enable us to see each other again in peace). Last week I said goodbye to my friend Zachariya Bah and his family. I was able to honour a promise I made to him a long time ago, to film a music video of him and his family. One of the songs we filmed is called We Ask for Strength. We ask God for the strength of the prophet Moses. We ask God for the strength of the prophet Noah. We ask God for the strength of the prophet Jesus. Why do we ask God for strength? Because the world is hard. Why do we ask God for strength? Because the difficulties are many. Africa is a horrifying continent and a wonderful one, too. Sometimes it feels like there is more horror than wonder, but what would I know? I must learn not to generalize or romanticize or demonize. I must learn (along with everyone else) not to talk nonsense about Africa, particularly when in a stage of transition. Because there are no generalities, of course. No sooner do you say ‘#YouAintAfricanIf you don’t have a chequered travel bag like this’ than a million people chime in to say ‘We’re African and we don’t have one’. Or rather, they would if they were on Twitter. There are no generalities. There are only specifics. Yesterday I said goodbye to the old woman with the big nose who sells tomatoes in Zogona market. ‘Take me with you’, she said, and I said ‘Yes, okay’. She forgave my inanity, and I hers, and she handed me an extra tomato. Would you buy this film? Next Next post: What do I here myself?